Dr. Scott Asnis graduated from New York University College of Dentistry in 1983. Thereafter, he was granted and completed a general practice residency at the Brooklyn Veterans Administration Hospital in 1984. 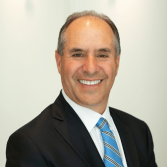 In addition to practicing in the metropolitan New York area for over 30 years, Dr. Asnis has continued his prestigious education and training as a general and cosmetic dentist by attending hundreds of hours of post-graduate education. Dr. Asnis was honored by being chosen to act as a clinician tester for the world-renowned dental innovator Dr. Gordon Christiansen’s “Clinician Report”. This is a unique service where dentists worldwide unite their expertise for the sole purpose of testing all types of dental products and ‘disseminating’ results to colleagues throughout the world. Accordingly, this has allowed Dr. Asnis to stay on the cutting edge of some of the most innovative dental equipment and technology on the market. Dr. Asnis was also awarded the distinguished honor of being voted topDentists 2016 by other dental professionals in Westchester County. In 2014, Dr. Asnis founded Dental365, where he serves as CEO. This is an innovative, state-of-the-art dental practice with multiple sites in NYC, Brooklyn, and Long Island. The fast success and continued expansion of this practice in the metropolitan New York area is a testament to the passion that Dr. Asnis has for providing the public with exceptional dental care that they can afford with office hours 7 days a week to accommodate the modern, busy lifestyles of today. Dr. Asnis is married with two adult sons.